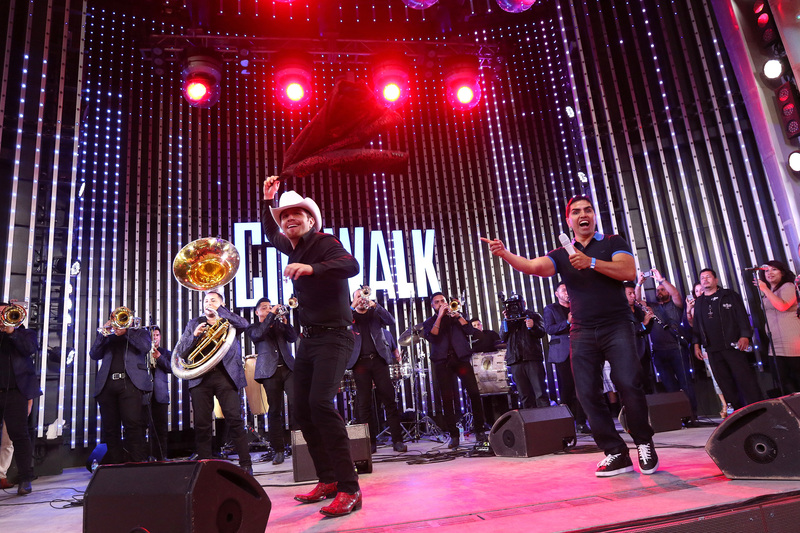 On Sunday June 5th, El Dasa, lead actor of hit series “El Vato” offered a free concert at Universal CityWalk™ presented by NBC UNIVERSO where fans of all ages came to see their idol. Eddie “Piolín” Sotelo, popular radio host from Súper Estrella 107.1 FM acted as MC and presented the talented and charismatic singer from Sonora, Mexico. 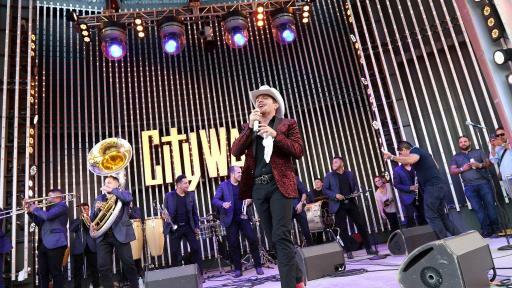 To download images of the highlights of El Dasa’s concert, click here; and to see the video, go here. 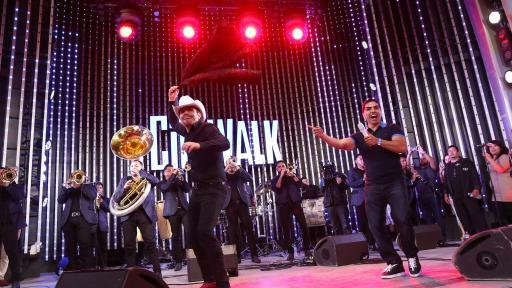 El Dasa kicked off his performance singing “Perdí el Sombrero,” the theme song from “El Vato”, NBC UNIVERSO’s first original scripted series created for the Hispanic market in the United States. 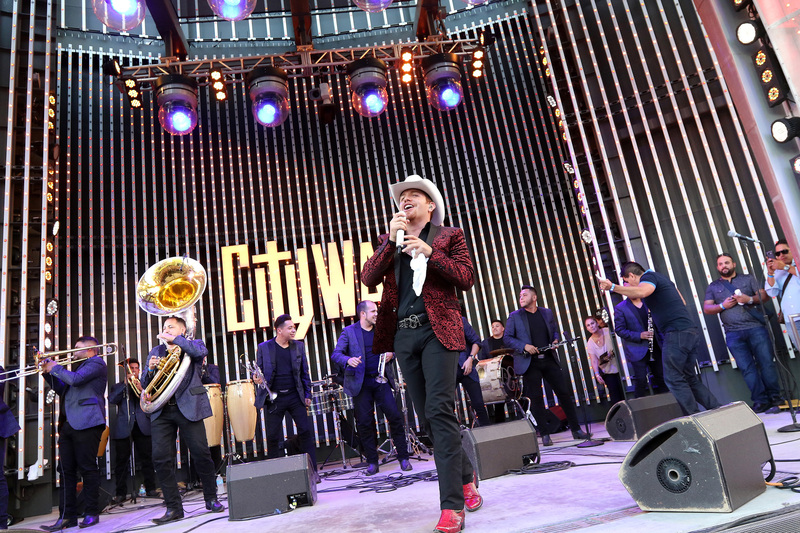 Then he followed with “Alegre y Enamorado,” a song that pays tribute to all the states of Mexico, and the excitement of the audience grew as he mentioned each home state. The evening spiced up when El Dasa started dancing his sensual hip movements while singing “Mentirosa.” However, the moment that provoked most effusive cries was when he dedicated “Por ser Bonita” to all the ladies. In addition to enjoying El Dasa’s hits and other classic songs, attendees got an exclusive early listen to his new single “Ya me vi,” from his new album, to be released this summer. 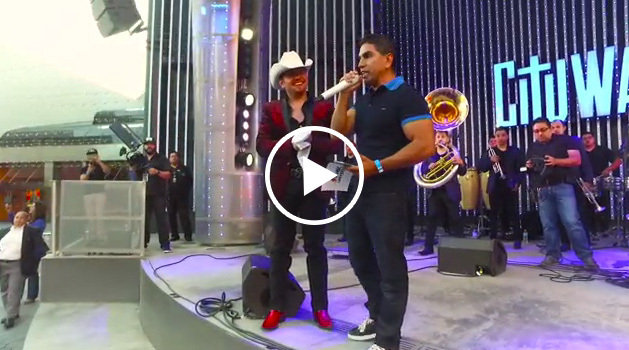 “I want thank NBC UNIVERSO for trusting me unconditionally and for betting on my talent to carry out the great project of “El Vato,” said El Dasa. 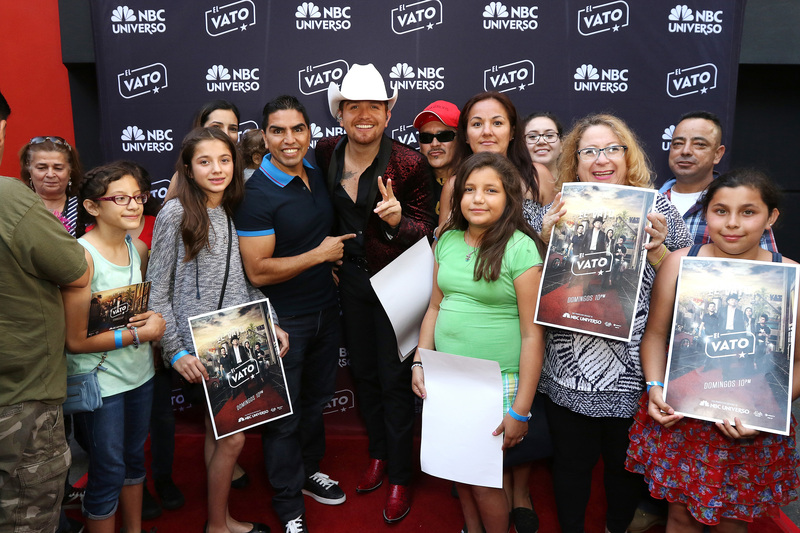 El Dasa also acknowledged the audience and stated: “This is why we are here tonight, because NBC UNIVERSO wanted to thank you all for supporting the series. Thanks to your support we are going to have a second season. None of this would’ve been possible without you,” he added. That night El Dasa poured his heart on stage and literally gave it his all as he tossed his hat, boots and jacket to the audience. 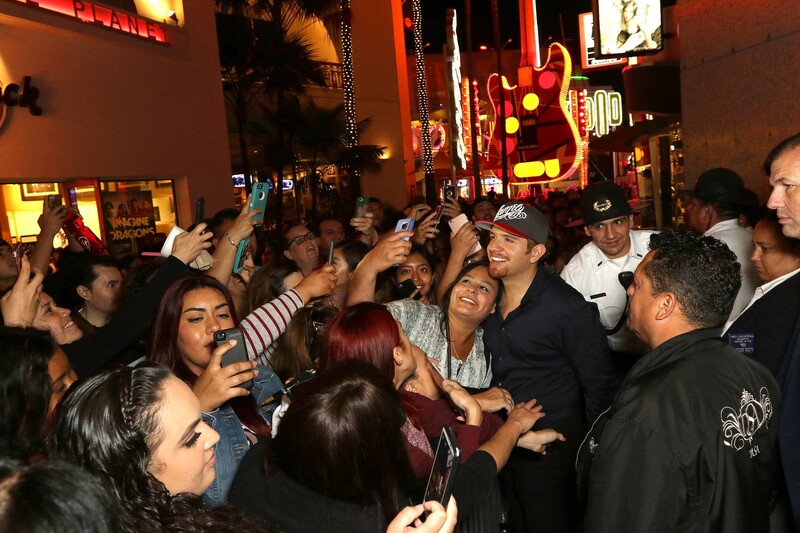 Before going on stage, El Dasa spent some time with a group of fans, radio listeners of “El Show del Piolín,” who entered a contest for the chance to meet him backstage. 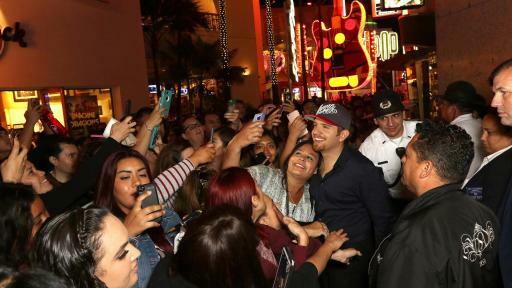 After his powerful performance, with the simplicity and humility that characterizes him, El Dasa took the time to please a long line of fans that chanted his name and waited eagerly to take pictures and get his autograph. Fans can interact on social media using #ElVato #EnTuRanch on Twitter and Instagram. For more information about “El Vato” and its cast, please visit: https://www.facebook.com/ElVatoTV. 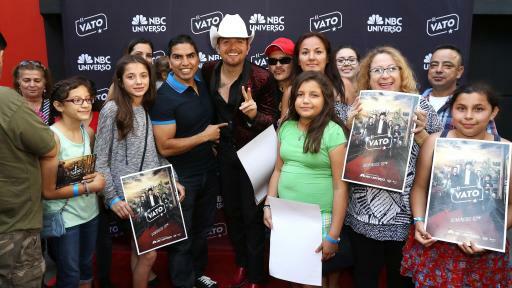 To catch up with previous episodes of “El Vato”, please visit http://www.nbcuniverso.com/now/el-vato. NBC UNIVERSO is currently available to 40 million households across the U.S. The network is telecast in HD nationwide on DirecTV; Western U.S. markets served by Comcast Xfinity TV; throughout Bright House Networks’ cable television footprint; and select Cox Communications markets. To find NBC UNIVERSO on your satellite, telco or cable TV channel lineup, go to Channel 410 on DIRECTV; Channel 838 on DISH Network; Channel 3009 or 3010 on AT&T U-verse; and visit www.nbcuniverso.com/encuentra for the NBC UNIVERSO channel number on your local cable TV listings. NBC UNIVERSO (www.nbcuniverso.com) is a modern entertainment and sports cable channel for Latinos, bringing the world’s top sports franchises and edgy, emotional programming to more than 40 million households in the U.S. As one of the most widely available modern cable channels for U.S. Latinos, NBC UNIVERSO delivers a thrilling mix of exclusive sports action – including FIFA World Cup™, NASCAR Mexico Series, NFL, Premier League and The 2016 Rio Olympics – along with signature series, blockbuster movies, music, must-see live events and strategic acquisitions, on TV, online and mobile devices. NBC UNIVERSO is part of NBCUniversal Telemundo Enterprises, a division of NBCUniversal (www.nbcuniversal.com), one of the world’s leading media and entertainment companies. NBCUniversal is a subsidiary of Comcast Corporation (www.comcastcorporation.com). 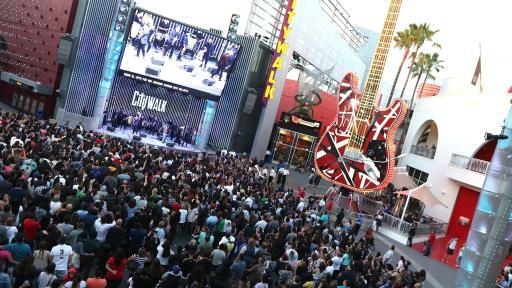 More information about Universal CityWalk is available at www.CityWalkHollywood.com. 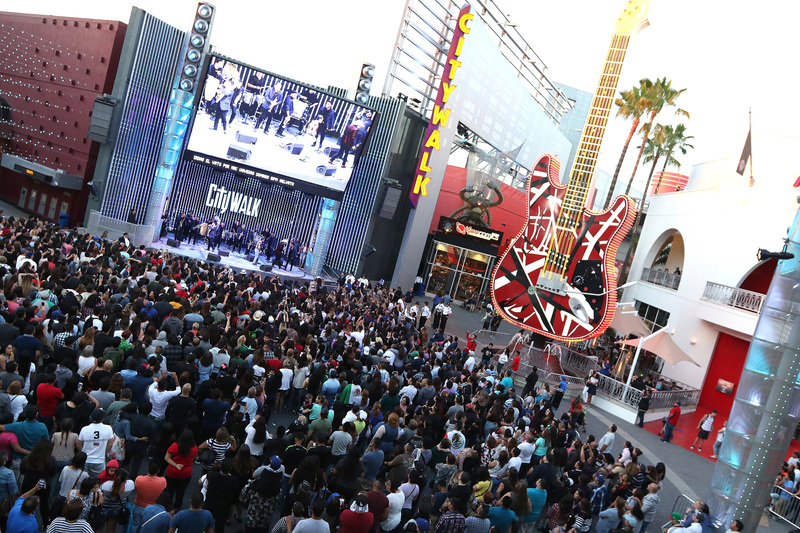 Regular updates also can be found on CityWalk’s Twitter @CityWalkLA, Facebook page Universal CityWalk Hollywood and Instagram @CityWalkLA. Universal Studios Hollywood is The Entertainment Capital of L.A. and includes a full-day, movie-based theme park and Studio Tour. As a leading global entertainment destination, Universal Studios Hollywood delivers highly themed immersive lands that translate to real-life interpretations of iconic movie and television shows. Recent additions include “The Wizarding World of Harry Potter TM” which features a bustling Hogsmeade village and such critically-acclaimed rides as “Harry Potter and the Forbidden Journey” and “Flight of the Hippogriff™,” Universal Studios Hollywood’s first outdoor rollercoaster. Other immersive lands include “Despicable Me Minion Mayhem” and “Super Silly Fun Land” as well as “Springfield,” hometown of America’s favorite TV family, located adjacent to the award-winning “The Simpsons RideTM.” The world-renowned Studio Tour is Universal Studios Hollywood’s flagship attraction, inviting guests behind-the-scenes of the world’s biggest and busiest movie and television studio where they can also experience such authentic and immersive thrill rides as “Fast & Furious—Supercharged.” The destination also features the Universal CityWalk entertainment, shopping and dining complex, including the Universal CityWalk Cinemas and the “5 Towers” state-of-the-art outdoor concert venue.